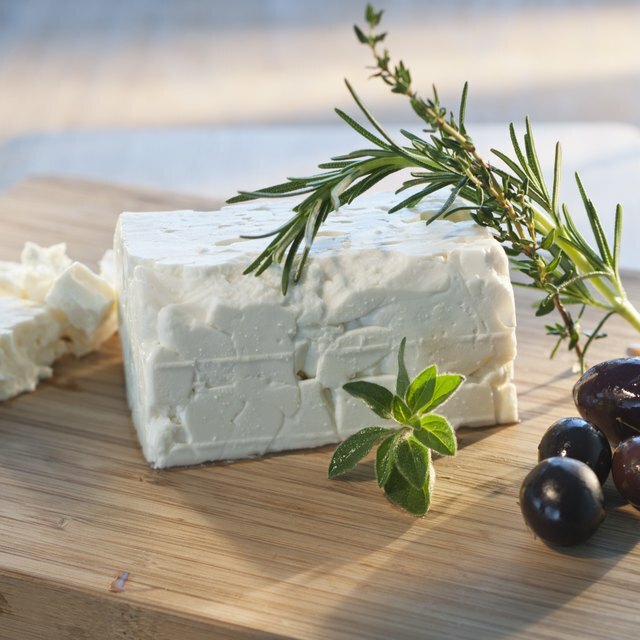 How Many Calories Are in a Goat Cheese Salad? An antipasto platter containing greens, cured meats and pasta. 1 How Many Calories Are in a Goat Cheese Salad? 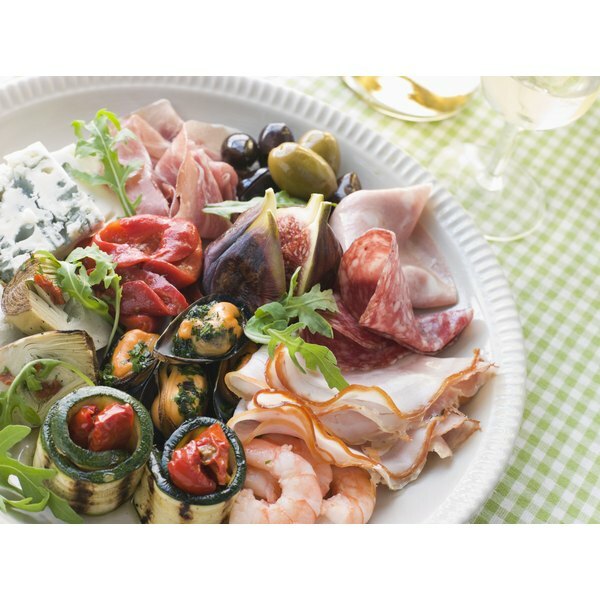 Antipasto is the appetizer course in an Italian meal, consisting of cured meat, cheese, peppers, olives, pickles and other bite-sized savory foods. An antipasto salad uses the traditional antipasto ingredients with greens or pasta such as orzo or rotelle. One recipe calls for 6 cups lettuce, 1 cup garbanzo beans, 6 oz. salami, 6 oz. Provolone cheese, 2 tomatoes, 4 oz. roasted red peppers, 1 cup assorted olives plus a vinaigrette made from 1/4 cup red wine vinegar, 1 tbsp. lemon juice, 1/2 cup olive oil, 1 tsp. honey and salt. This recipe makes six servings. Each has 506 calories, 36 g of fat, 828 mg sodium, 28 g carbohydrates and 18 g protein, according to the U.S. Department of Agriculture nutrient database. A different antipasto salad, with flavors from the Mediterranean coast, calls for a vinaigrette made from 1/3 cup lemon juice and 1/3 cup olive oil as well as two 6-ounce cans tuna, 1 cup cannellini beans, 24 pitted Calamata olives, 2 cups celery, 2 tablespoons capers, 2 tablespoons parsley, 2 teaspoons lemon zest, 1 teaspoon minced garlic and 2 roasted red peppers. This recipe also makes six servings; each has 259 calories, 7 g fat, 372 mg sodium, 25 g carbohydrates and 24 g of protein.